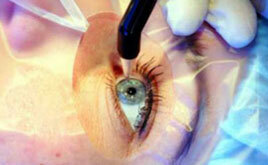 + Lasik : your eye can be operated without using a scalpel ! 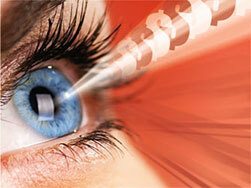 The LASIK means using a laser to modify the shape of the cornea and its thickness. The eye can be operated without the use of a surgical blade and with great precision. Anaesthetic eye drops provide an effective and local anaesthesia. Lasik is a reliable, safe and painless technique, comfortable and highly precise so that the patient can regain precise visual acuity rapidly. Millions of people have been operated using the LASIK technique for over 15 years throughout the whole world. This success is due to the great satisfaction of the operated persons and the technique’s reliability (efficacy, safety, precision and stable results) and the comfort it provides (no pain and rapid visual recovery). Are you still hesitating? Let us have your questions and contact us online! 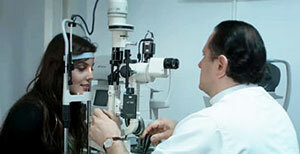 an ophthalmological examination and measuring the cornea’s thickness (pachymetry). It is strongly recommended to stop wearing rigid or flexible lenses3 weeks before the operation. Make-up and make-up removal products are forbidden 48 hours before the operation and for 1 week after the operation. The Lasik operation is an outpatient procedure, under local anaesthesia using eye drops, at the operating theatre. It is practically painless. The average duration of the operation is approx. 15 minutes per eye. At the end of the operation, a few drops of an antibiotic eye drops are instilled into the eye and a transparent plastic protective patch is placed over the eye. It can be replaced by protective sun glasses. A feeling of discomfort will persist for a few hours and will disappear completely. When the anaesthesia has worn off there will be some irritation of the eye. Frequently the eye feels dry. Artificial tears can relieve this feeling of dryness. A transparent patch is placed over the eye to protect it from shocks. It can be replaced by non prescription sunglasses. The patch should be worn constantly until the day after the operation, and then only at night for the first 5 nights. Normal activities can be resumed the next day. The surgeon’s instructions must be followed. For the first few weeks it is advisable not to rub or to press the eyes. The sun and UV are to be avoided. Sports activities can be resumed 8 days after the operation except for nautical activities which are contra-indicated for 1 month. Make-up is contra-indicated for 10 days. The eye may be reddish or red for a few days. Some secretions are possible. Treatment starts approx. 2 to 3 hours after the operation, once you are back home. Vision is progressively restored after a few hours, both from close and from far. 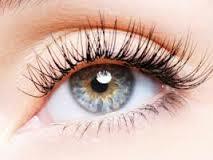 Complications are possible as with any other eye surgery, either benign or serious ones requiring particular treatment. Doctor Menif will be happy to answer any questions you may have. Please do not hesitate to contact us.